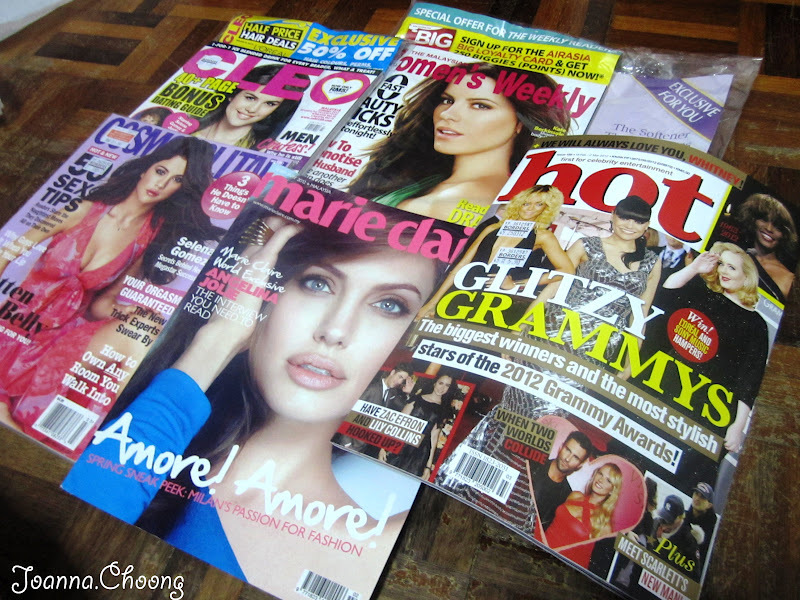 Call me crazy, but I used RM50 of the voucher and got these magazines! 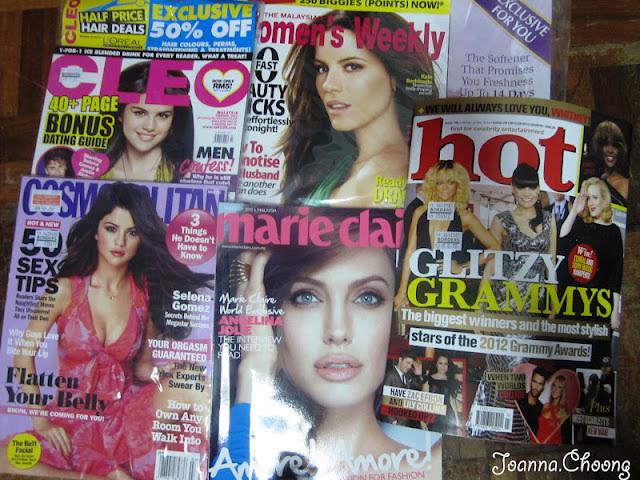 So yes the total for five of these magazines is closed to RM50, had some extra left bought pens with that. I enjoy reading magazines, but I can't afford to buy them every month, so now is the chance for me to buy them! Left RM150 now, probably will buy some books. Hehe! I was more interested in fashion mag, but to make it reach 50, bought the hot mag... haha. Hi Bsie! Didnt know you blog... haha! After you are done with them, can I browse thru? Hehe..